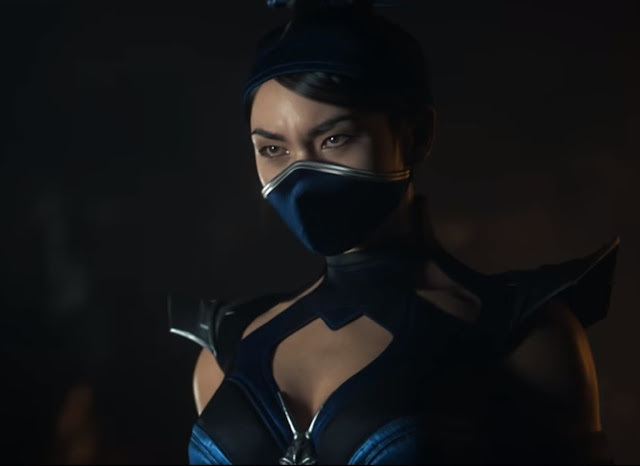 One of the most popular stars of Warner Bros' gory death brawler, Kitana is a 10,000 year old princess that did indeed die in previous titles. But, of course, death isn't the end in Mortal Kombat. Kitana was resurrected. Unfortunately for just about everyone, the resurrection also left her being nothing but an evil revenant and, alongside fellow revenant Liu Kang, is dedicated to the destruction of all planes of existence. She's one nasty zombie, in other words. Rather than do a character trailer like the others, Warner Bros has instead released a little live action "TV spot" trailer. It's not spectacular, but it's a nice little 60 second bit of B-grade. With only a couple of weeks until the game's release, the known roster for Mortal Kombat XI is Scorpion, Raiden, Sub-Zero, Sonya Blade, Skarlet, Baraka, Geras, Kano, D'Vorah, Kabal, Jade, Johnny Cage, Cassie Cage, Erron Black, Jacqui Briggs, Kotal Kahn, Noob Saibot, Liu Kang, Kung Lao, Jax Briggs, Cetrion, The Kollector and Kitana. That's a pretty impressive roster, and Warner Bros. has promised more to come yet.